Earth Fest presented by Entergy is a fun way for Zoo visitors to learn about saving the environment. Exhibitors representing groups from the non-profit and governmental sectors as well as businesses involved with environmental issues will help Zoo visitors answer questions for prizes on the Earth Quest game. Great food and crafts available for purchase! Earth Fest is included with Zoo admission or Audubon Nature Institute membership. PLEASE NOTE: OUTSIDE FOOD, BEVERAGES, OR TENTS WILL NOT BE ALLOWED DURING EARTH FEST. Recycle those old jeans during Earth Fest and win big...and we mean BIG! 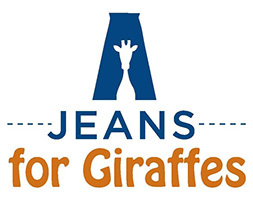 With the mission to raise funds for giraffe conservation, Audubon Zoo is collecting jeans as part of a contest to win an up close and personal experience with giraffes. Jeans for Giraffes raises funds through recycling donated jeans that are transported to a textile recycler, where denim is turned into insulation for homes and businesses. The recycling company pays for collected denim by the pound, and this money goes directly towards giraffe conservation and research projects. Read more at: JeansForGiraffes.org. Enter during Earth Fest to win a Meet and Greet with our herd of giraffe at Freeport-McMoRan Audubon Species Survival Center! You may even get a chance to have an up close encounter with one of the three babies! The guest who brings in the most jeans (in terms of weight) will win a meet and greet for up to 6 adults and children. In the event of a tie, a winner will be selected at random. Guests who bring in at least one single pair of jeans will have a chance to win a meet and greet for up to 4 adults and children. The winner will be chosen at random from all entries. Bring at least a single pair or multiple pairs of jeans to Audubon Zoo on March 24, 2018 to enter the contest. Contest entry point will be set up outside Audubon Zoo. The contest opens at 10:00am and closes at 5:00pm on March 24, 2018. For people bringing multiple pairs of jeans: the jeans will be weighed and a receipt issued with the weight listed. A separate entry form must be completed in its entirety to be eligible. Non-winners of the weight category will be automatically entered in the single jean category contest. Winners will be announced on March 24, 2018 from the Capital One stage in Audubon Zoo at 5:30pm. As a bonus for recycling, each contest entrant will receive a discounted admission coupon, good for up to four guests. Valid on March 24, 2018 only. This is a contest to win a private behind-the-scenes experience open to only contest winners and their designated attendees. Experience is limited to the number of guests allocated to winner's category. No exceptions are available. Meet and Greet will occur during the day and on a pre-arranged date and time. Winners need not be present at announcement on March 24, 2018. Only one winner will be chosen in each category. One entry per person and must be 18 years of age to enter and win. Accompanying guests may be any age. Winning entry cannot be transferred. Winners must be able to present valid identification to enter Species Survival Center. No cost to enter contest. Winners will be contacted within 7 business days to arrange meet and greet. Giraffes are located at Freeport-McMoRan Audubon Species Survival Center in Algiers, Louisiana. Transportation is the responsibility of winners. Audubon Nature Institute employees, sponsors and vendors and their immediate family members are not eligible.